So glad to get the chance to announce the 11th HSF that is in just 5 days. 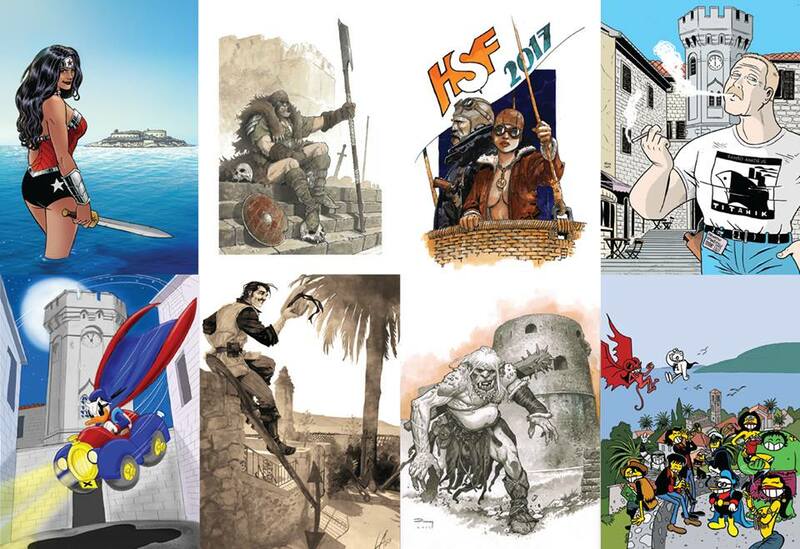 One of the best comic festivals in the Balkans is calling all comic fans (don’t be shy 🙂 ) to Herceg Novi for the 11th time and has a pretty serious lineup combining pretty great names with the up-and-rising talents. The show starts on Friday, the 1st of September and as always you can expect a lot fun, hanging around with great artists in the beautiful Herceg Novi. The party will be going all around Novi, so all of you should come and enjoy this really unique atmosphere and festival! The special guests are: R.M. Guera, Roger Ibanez, Toni Fejzula, Goran Sudžuka, Maurizio di Vincenzo, Antonio Lucchi, Valerio Held, Dražen Kovačević, Richard Marazano and Enis Čišić. Also in Novi: Tihomir Tikulin, Iztok Sitar, Vladimir Vesović, Milorad Vicanović – Maza, Stevan Subić, Krešimir Biuk, Luka Cakić, Marko Stojanović, Emir Pašanović, Pavle Zelić, Ivan Šainović, Siniša Banović, Aleksa Gajić, Milica Mastelica, Dragana Kuprešanin, Bora Grbić, Milan Mišić and Dražen Baletić. All the info regarding the programe can be found on the website of the festival, click here. Come to Herceg Novi, grab a few drawings, drinks, sing a few songs and come back. Again and again, because you will fall in love with this town and festival. As we did! Next story Crestfallen by Dybeck/Cakic is on Kickstarter!